How Howie "survived a visit to the Fox lair"
Last night, Howie joined Bill O'Reilly on The Factor and lived to tell the tale. 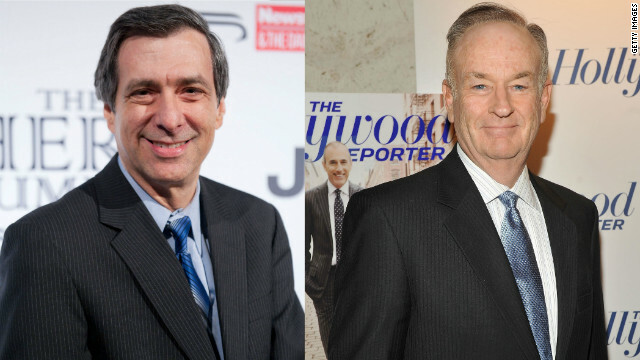 "Got a couple of scratches, but I don’t think Bill O'Reilly drew any blood," Kurtz wrote in The Daily Beast. Read more about Howie's adventures with Bill and watch the video here. Bill O'Reilly claims that the Left is giving drone strikes a pass because President Obama has ratcheted it up. Howard claims that there was more attention to weatherboarding because folks on Left and Right (John McCain in particular) opposed it. Here's a simpler view. Most Americans (and thus our politicians and media) don’t give a damn about drone strikes because the odds of Iran, Syria or North Korea launching drone strikes on US soil is virtually non-existent, while the odds of the same countries torturing captured Americans is very high. Like humans everywhere else, we are self-centered on the Left and the Right. Surprised?